Welcome to A Walk in the Park, our series of profiles of Canada’s National Parks. By Ned Morgan. 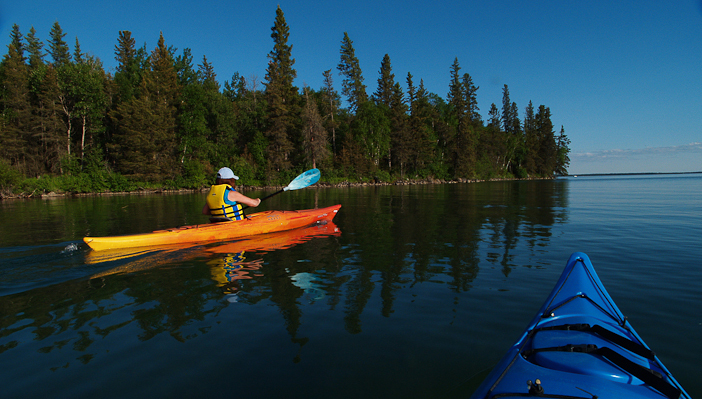 Manitoba’s Riding Mountain National Park boasts over 3000 square km of boreal forest, aspen parkland, Escarpment features, wilderness lakes and rivers, rolling fescue prairie, and MTB trails. In the midst of a primarily agricultural area of the province, Riding Mountain preserves a myriad backcountry that is home to wolves, moose, elk, black bear, hundreds of bird species, and a captive bison herd. 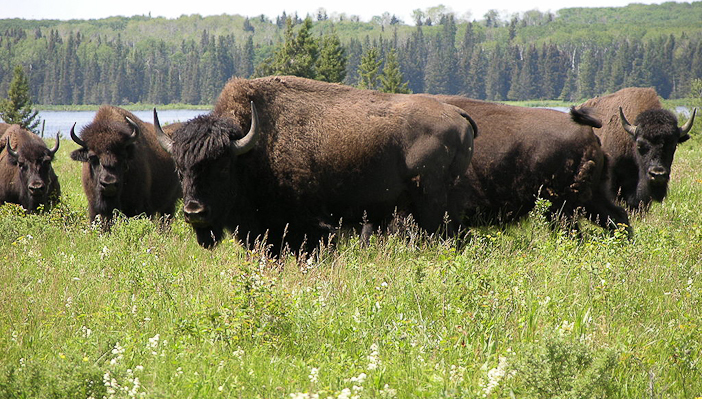 Bison herd at Lake Audy. Photo by Norm Andreiw. View from high ground of the Bald Hill backcountry trail. Photo courtesy WhiskySour100. 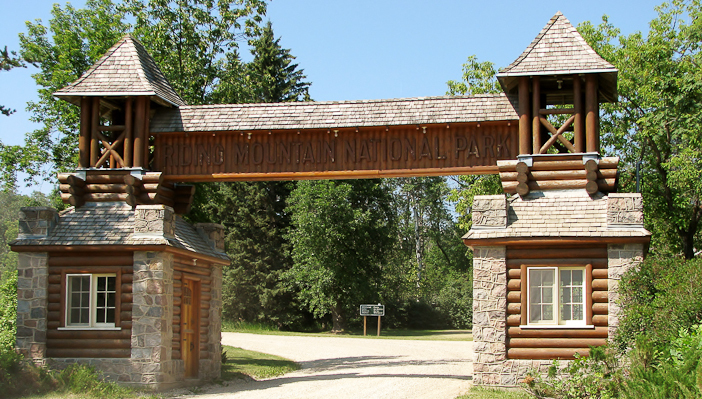 Riding Mountain obtained official status in 1930 and opened in 1933. The East Gate National Historic Site is an example of the Rustic Design tradition of the 1930s. Local craftsmen, hired through the Federal Government’s Depression Relief Program, fashioned the gate using materials from the region. In addition to its Rustic past, Riding Mountain also boasts the just-launched oTENTik shelters for family camping, available from mid-May to late September. 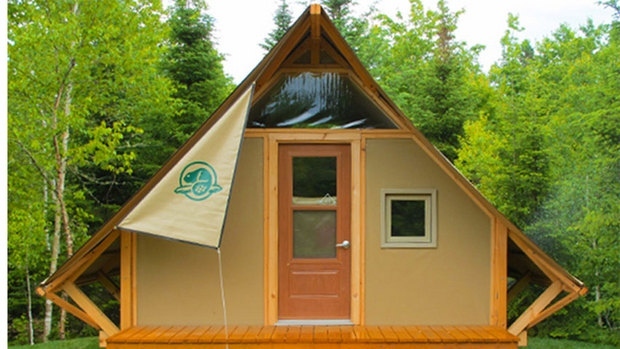 Parks Canada’s new oTENTiks sleep up to six. Photo courtesy Parks Canada. The camping options are legion; the park offers yurt camping, backcountry camping, and something they call random camping where you can pick your own site, all year around. 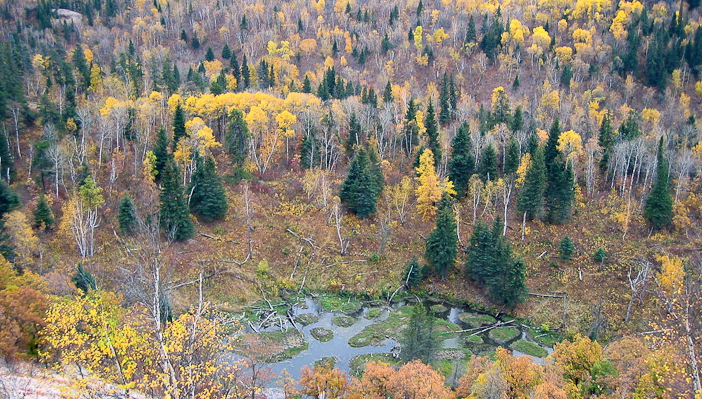 The park’s backcountry is big and wild enough that during the Second World War it safely held German prisoners of war. The PoW camp‘s relatively lax regime allowed the enemy to canoe on Whitewater Lake. Not only that – the prisoners even made their own canoes. From 1943-45, the captive Germans – mostly Afrika Korps captured in Egypt after the Second Battle of El-Alamein in 1942 – fashioned an unknown number of dugout canoes in their spare time. Though allowed to canoe on the lake, permanent escape for the paddlers was all but a geographical impossibility. The handcrafted canoes may have been hypothetical getaway vessels, but even if the prisoners paddled and portaged for weeks, they’d still be in the centre of an enemy continent. 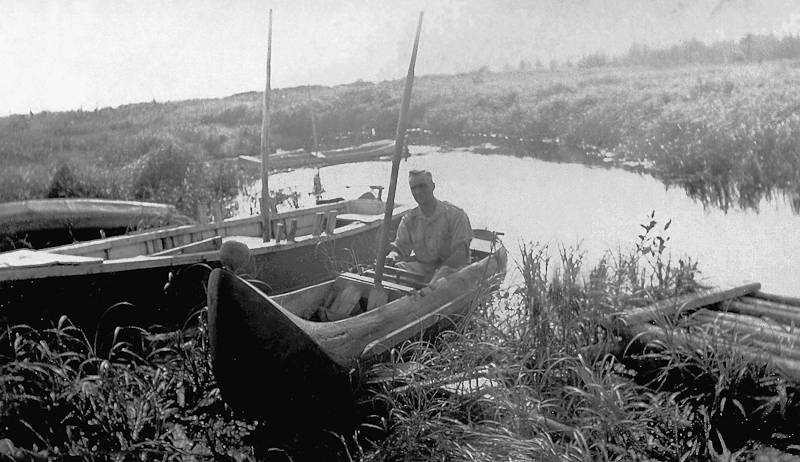 An unidentified PoW in a dugout canoe rigged for sailing. Photo courtesy Riding Mountain National Park. Last year, Vancouver-born Stanford University scholar Adrian Myers completed his PhD dissertation on the camp; he and his team uncovered six PoW-built canoes at Whitewater Lake in varying states of decay. “This was a labour detachment sent to Riding Mountain National Park for the purpose of logging. So as the prisoners came across trees that were big enough, they set them aside for recreational use,” says Myers, who identified the canoemakers’ likely tools: a bow saw, axes, chisels, hammers and knives. Mature fir, spruce, or poplar trees logged from the surrounding forests probably provided the raw material. You can visit the remote site – but not in May and June, since it is a calving ground for elk – by hiking, cycling or horseback riding to Whitewater Lake along Central Trail. 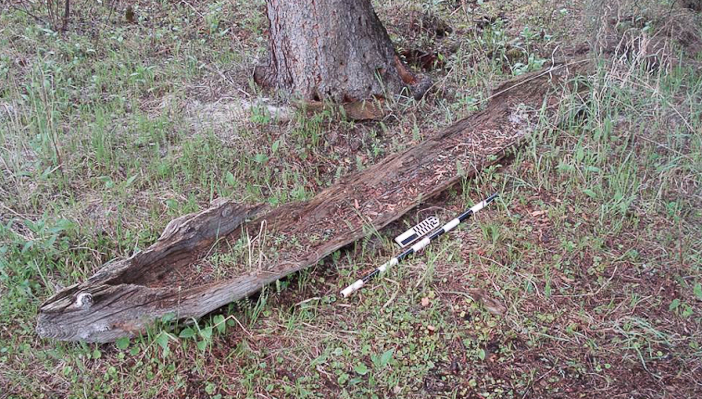 In addition to the canoes, traces of a foundation remain. 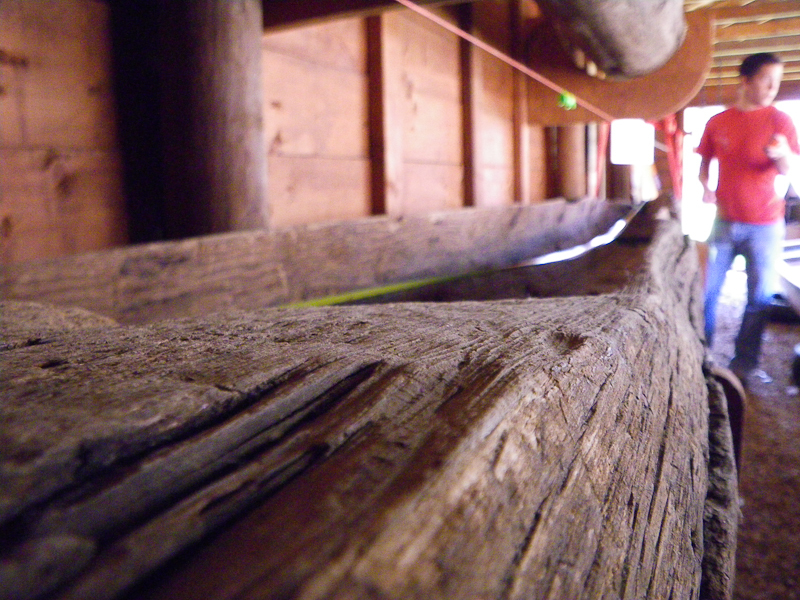 The Fort Dauphin Museum preserves two of the canoes. Photo courtesy Adrian Myers. More on Riding Mountain National Park here. Or check out Travel Manitoba.